New Resolution Geophysics is proud to be an active member of International Airborne Geophysics Safety Association (IAGSA). The Management of NRG™is committed to the development, implementation and management of a sustainable Health and Safety System in accordance with the requirements of the relevant legislation, applicable standards and codes of practices. Aircraft operator, Skyhorse AviationTM is proud to be a BARS registered aircraft operator since 2015, and have successfully completed their 2017 audit and achieved 'Gold Status'.The program assists organizations with the management of their aviation risk and provides users of aviation support with the level of safety assurance required by their respective organizations. NRG™is an active member of the International Airborne Geophysics Safety Association (IAGSA) and adheres to the IAGSA guidelines for airborne geophysical survey. Prior to project start-up a project specific risk assessment is undertaken. The Risk Assessment used is based upon the standard Airborne Seismic Risk Assessment provided by IAGSA. It reviews potential hazards and mitigating factors to ensure operations are run in an acceptably safe environment. NRG™owns its own state of the art Aircraft Maintenance Organisation (AMO). Wherever possible, maintenance is performed in house by our highly skilled and proficient aircraft engineers which ensures that the level of maintenance is upheld to NRG’s high levels of service and the scheduling of the work is properly managed. NRG™ promotes a culture of reporting and investigating accidents, incidents and near misses and the sharing of lessons learnt. In the field safety meetings are conducted fortnightly to identify hazards and any potential risks during an operation. 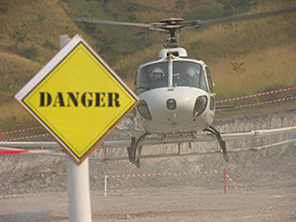 NRG employs only experienced survey pilots on a full - time basis and all field crew have international medical evacuation policies in place. In addition, NRG has comprehensive third party and passenger liability insurance. Satellite based flight following: The aircraft reports its position, speed, and heading every 2 minutes. 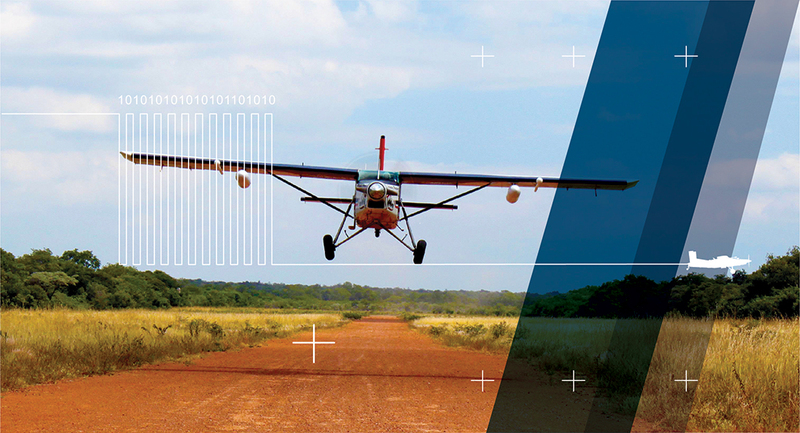 Web access enables real-time plotting of the aircraft's position.